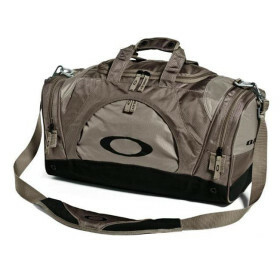 Oakley Heavy Payload Duffel » Protective Solutions, Inc.
No Baggage Fees Required. Need a lightweight carry-on bag for your next trip? New Year's resolution to go to the gym everyday? This versatile bag goes everywhere while offering innovative design and Oakley quality. If you want to be ready anytime and anywhere this is the bag you need to support your busy lifestyle. Top loading duffel bag with end pockets, front/back pockets and carrying handle with shoulder strap. Available in New Khaki only.